I only commute for more than three students. I teach close to the intersection The Queensway and Islington. Etobicoke. Erelys was an amazing teacher who was always prepared. She came to class with enthusiasm, knowledge, fun and shared stories and lessons not only about the language, but the Latin culture too. After a couple years of consistent lessons, I feel that Erelys prepared me for comfortable travel and easy communication with locals in various countries. I can not praise her enough, and highly recommend her to anyone, in any stage of life, who wants to learn Spanish! Erelys taught spanish to my 8 year old daughter. The teaching environment she provided was very welcoming and safe. Her structured lessons were very effective but included a variety of teaching materials (e.g. fun games, songs, spanish dictionnary) and methods (e.g. conversations, role play). I would highly recommend Erelys as a spanish teacher. Erelys is an incredible Spanish instructor. She immediately learns your level and adapts your lessons accordingly to your level. I have learned an incredible amount of Spanish through her teaching style. I highly recommend. Erelys is a fantastic teacher and I can’t recommend her highly enough. She is patient and encouraging. She never rushes me or finishes sentences for me unless it is clear I need help. She always comes to class prepared with a lesson plan tailored to my needs and my level. She is spirited and always tries to make the class as enjoyable as possible. On top of being an excellent teacher Erelys is a lovely person to have the pleasure of knowing. Thank you Erelys for all your help! 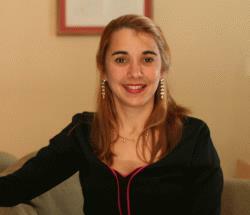 Erelys brings a fantastic mix of formal and more personal informal spanish to her lessons. She will teach you what you need to know, while building your confidence. I highly recommend her to anyone at any level. Not to mention if you're a Cuba super fan like I am then Erelys is the perfect match for you; friends and family...Buena Suerta..
Erelys is very professional teacher with a very good and helpful system of tutoring. She also gives very important information about the culture and traditions of Cuba and other Latin countries. Erelys has the high level of tutoring skills as well as communication. She is very pleasant and welcomed person. I spent very good time and got Spanish fast. Thank you Erelys. Erelys, is excellent spanish teacher and was exactly the kind of teacher i needed i was very lucky to have met her. she was very organized for each lesson. She is very professional and has the correct back ground from an educational standpoint to teach, which is very important (a lot of people out there teach spanish because they speak spanish) but she has the educational back ground to really teach and explain things properly. She is very patient, and she cares very much about each student and you can tell from the way she interacts with you. I would definately recommend her to anyone i know that wanted to learn spanish. Erelys is an AMAZING tutor. She taught me so much. I first started going to her for help in Spanish for my college course. After completing my course and getting a A ! I decided to take classes to further excel in Spanish! She plans all her classes in advance and to your skill level ! She’s very encouraging and wants you to excel in this beautiful language ! It’s been a great learning experience and I’m so glad I had her ! Erelys provided very effective instruction and was flexible in tailoring the course to my objectives and time frame . Highly Recommended Tutor: I needed some preparation for a business trip to Argentina. Working with Erelys was excellent. She quickly understood how to build on my beginners level and focused on filling in the gaps that prepared me for formal business introductions along with a few cultural tips. Once we got the basics down we worked on getting by at restaurants and shops during the evenings. It made the trip both more productive as well as entertaining. Highly recommended, I think its her bachelors in Spanish and education that makes the difference.